Spanish MotoGP rider Marc Marquez of Repsol Honda on Tuesday said that he would battle for pole position, ahead of an upcoming race in Austria. 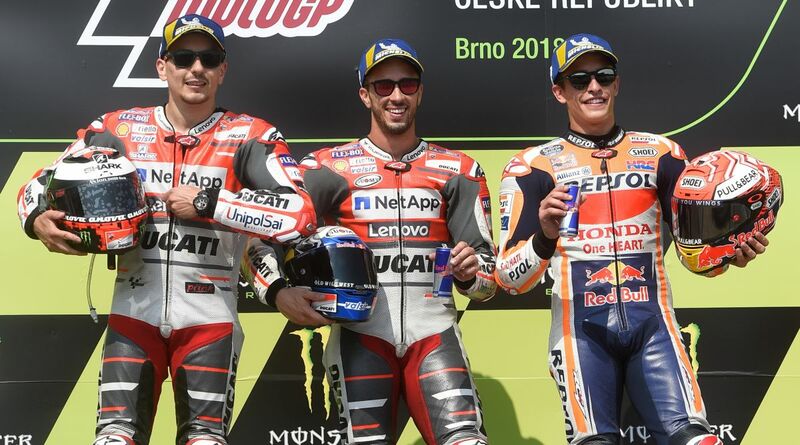 The four-time MotoGP champion finished third at the most recent race in the Czech Republic, behind Ducati riders Andrea Dovizioso of Italy and Jorge Lorenzo of Spain, reports Efe. “We will try to be fast from the start of the weekend and then fight up at the front,” the 25-year-old said at a press conference in Vienna. “Austria is another track where Dovizioso and Lorenzo are strong, but we were also strong there last year, so we’ll see if it comes down to the last corner again!” he added. The race in Austria is set to take place at the Red Bull Ring from August 10-12.